FeastHome – Let’s say you want to remodel your kitchen. It’s a scary process. Anything can go wrong. There are so many things to consider before beginning the physical work. Let us help you through this process with our tips to transform your kitchen. You have to consider a lot of factors for your dream kitchen. Let’s look at all of the components one by one. Paint: This is the skin of the kitchen. You have to consider characteristics like quality, maintenance, ease of use, ability to clean dirt off and some more. 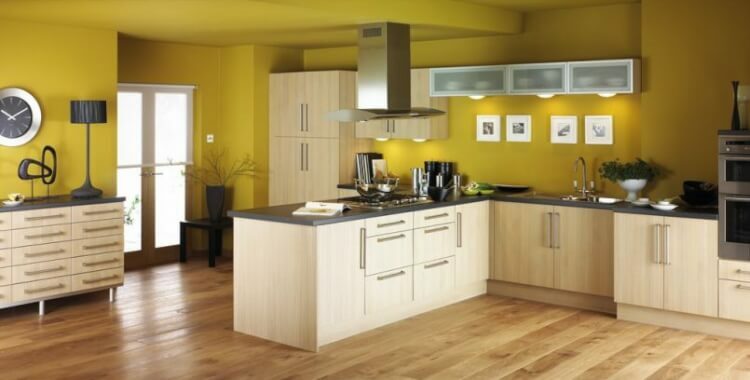 Paints are the easiest way to add colour to a dull kitchen. Mostly, people go with white and shades closely associated with white. But, some people make bold choices and go with vibrant colours. 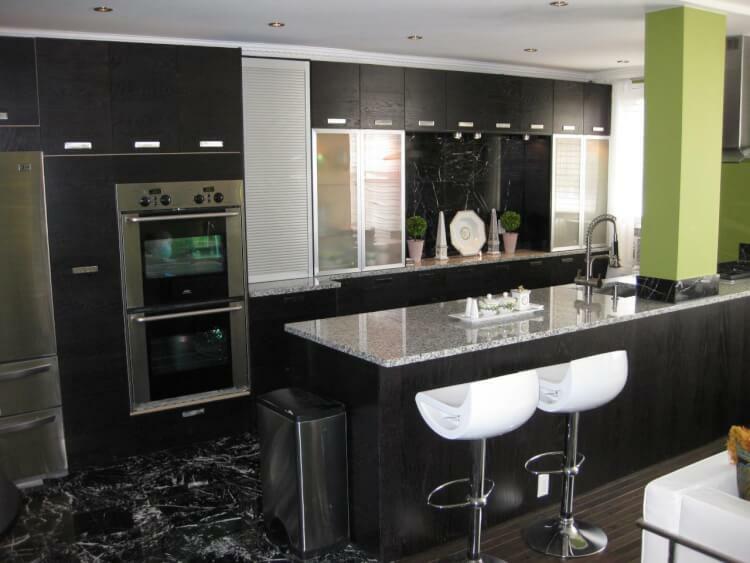 You can choose what will suit your kitchen best. If you don’t want to use paint, there is another choice. Wallpapers: Wallpapers are the trendier choice. You can get them in various colours and patterns, and they can be used to cover up cracks and imperfections on the wall. Vinyl based wallpapers are the safest bet, as you can just wipe off dirt directly from them. Paper based wallpapers need more care and are spoilt if you spill anything on them. 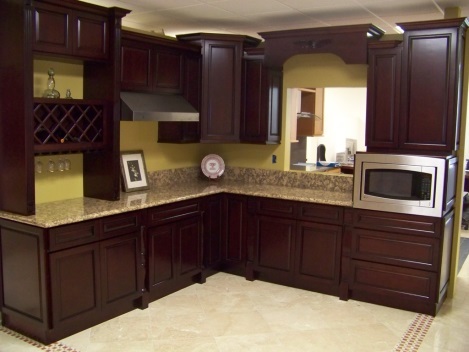 Countertop: There are three options for countertops: Quartz, Granite and Marble. Quartz is the cheapest option here, and it has a tough surface. You can spill, drop and totally beat the countertop with usage and it will take it. The best thing is you don’t have to reseal it. If resealing every year isn’t a problem, you can choose granite. It has a variety of options and is heat-resistant. It requires a medium amount of care though. If you want a classy white countertop, you can go with marble. There are so many options, but it is quite costly and. the maintenance is very high. If you can afford and take care of it, then it’s the right choice. Flooring: The next key thing about the kitchen is flooring. You can floor the kitchen with hardwood. They are a costly option, but can withstand so much wear and tear. There are two types, solid and engineered hardwood. Engineered hardwood is slightly cheaper than solid hardwood. If you want to take an even cheaper and different path,laminates and tiles are an option. They are relatively cheap and scratch resistant. There are some laminate designs that look exactly like hardwood. There are even stone and cork options. Island: islands are small stations, portable or stationary, that act as an extra space for cooking and supporting the kitchen. Some people tend to utilise the island for more things. They add a faucet to enable another person to help them cook. Some people install trough sinks that can hold champagnes, wines or even the plates as soon as you wash them. You can see a picture of a trough sink being used below. If you have a tiny kitchen, it makes sense to invest in a portable island. This will help youcook and transport food from the kitchen to the dining table. If you have a large kitchen with space for an island, you can buy a fixed island. You can install your microwave over in it and even store your wines by the side. Make sure your island doesn’t interfere with the work triangle. Pro tip: Work triangle is the space between your stove, sink and refrigerator. You must be able to walk freely towards all these things. Even a small fixture in this area and your walking pattern becomes long and annoying. Ensure free movement in the work triangle. Shelves: Shelves and cabinets are the means of storage for your kitchen. You can use a closed cabinet for your utensils, and it is the safest bet. You can use open shelves if you have a neat collection of utensils that you want to show off and your placing is on point. If you tend to clutter all your utensils, it’s better to used closed cabinets. Paint them in a colour that goes well with your countertop or the walls. Lighting: We have talked so much about lighting. Let’s recap. There are three types; the lights on the ceiling, the overhead ones and the under-cabinet ones. These help illuminate the place on a budget. Avoid getting fixtures that are too bright and get fixtures that are dimmable. Rugs: Rugs are great on your feet and add some depth to the overall colour of the kitchen. A final note: Go with neutral colours such as grey and eggshell white. Finding accessories that are compatible with these colours is easier. 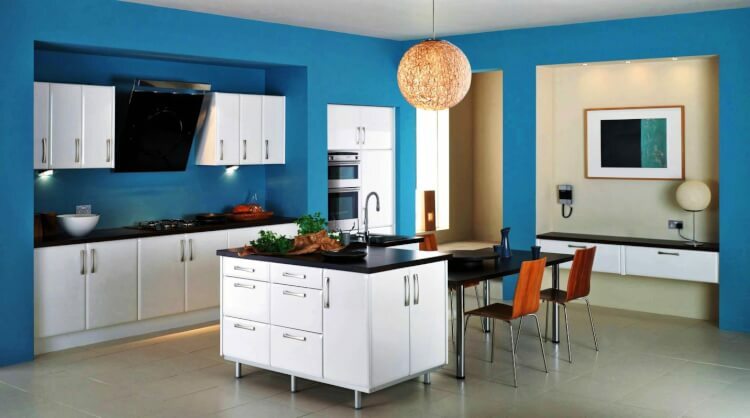 A blue hue shade kitchen sounds awesome and all, but finding accessories that match will turn into a treasure hunt. If you like that colour, invest in built-in kitchens. This setting supports every colour and you don’t have to worry about your accessories standing out. Remember our tips for transforming your kitchen. This will help you make decisions with all the elements that complete a kitchen. That’s all folks. Have fun transforming your kitchen!